Our alumni of the month series looks into the lives of some of EU’s most successful graduates. This month we showcase our alumnus Fabrice Goffin. At EU, Fabrice Goffin was surrounded by students who came from family-owned businesses. Goffin’s own father worked for a chemical company and this only made him more determined that one day, he too would own his own business. After graduating with a bachelor’s degree from EU in 1993, Goffin was ready to get out and start his professional career. The CEO and co-founder of Zora Robotics, landed his first job as a social secretary in Brussels. A job he describes as “terribly boring”. Goffin then moved onto the World Trade Center Association in Antwerp; a decision that would see him rise to the ranks of director. Allowing him to travel frequently to World Trade Center locations around the world, including New York, Malaysia and Chile. Some years later in Doha, Qatar, Goffin met the man who would turn out to be his business partner, Deblieck Tommy. The two decided to pursue their passion together, in addition to their full-time career. The concept began with robots in hotels. But the hotels weren’t interested, no matter how many meetings or pitches the pair gave. While they were experimenting with ideas, money and time were running short. It became obvious that in order for Zora Robotics to really succeed, the pair would have to take a leap of faith and choose between the safety for their current careers or passion. They chose passion. After this momentous decision, time passed with much effort from the pair and little interest from anyone else – until they received a phone call from the head doctor at a university hospital. 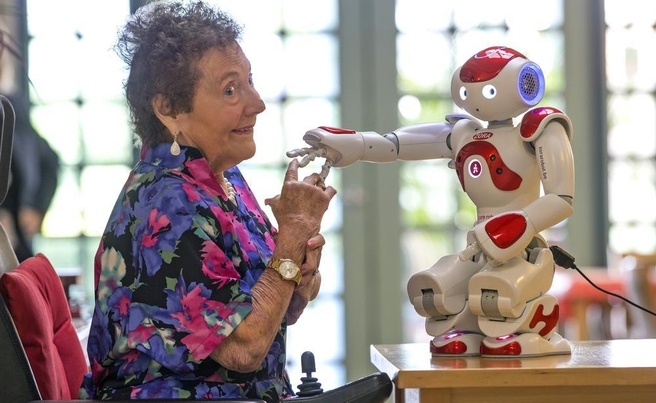 A doctor had heard of the duo’s work on humanoid robots and had an idea – the robots could be the perfect interactive tool to help motivate patients. The hope was to find a solution to help young recovering burn survivors who were having trouble staying motivated to continue their rehabilitation. This unique collaboration would result in the creation of Zora. This little robot, only 57 centimeters tall, started jumping around and people couldn’t help but be amused and follow along. No less than one week later, the robots were featured on TV and another phone call came in. 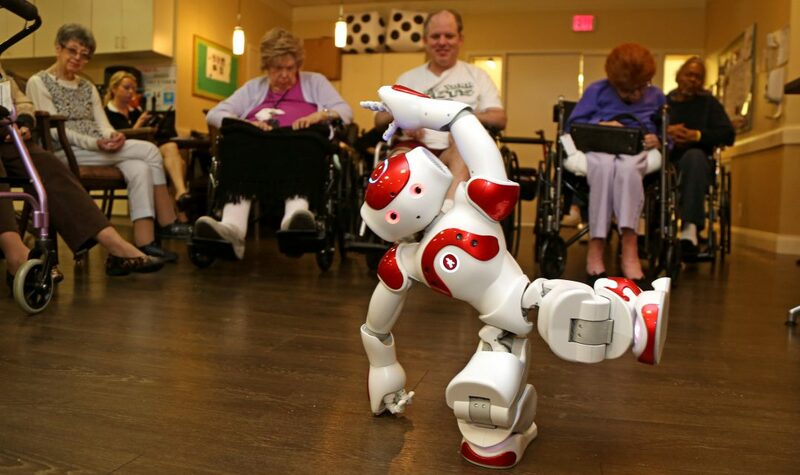 This time with the idea that Zora could help the elderly become more active. Zorabots’ second robot, Pepper, is the first robot capable of recognizing principle human emotions. It uses this knowledge to adapt to the different behaviors and moods of its users. 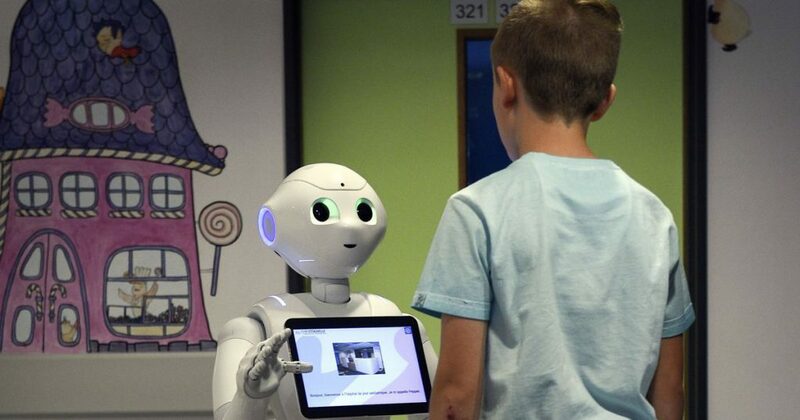 Pepper also has a face recognition system that allows it to identify any patients or clients that it has stored in its system. Taller than Zora, Pepper stands at 1 meter and 20 centimeters and holds a tablet. Pepper is currently being used in airports, shops, pharmacies and hospitals. Pepper is able to welcome customers, give directions, provide information about new products and and answer any questions about medication. Currently, Zora Robotics is working on the first robots to be delivered to people’s homes. While Goffin doesn’t believe that everyone will be billionaires in five years, he does believe that everyone will have some form of a “butler” at home. This brings us to James, the 100% Belgian made robot, who will shortly be introduced by Zorabots. Billy is another robot currently being rolled out by Zorabots – a smart flowerpot. Following Zora Robotics’ dedication to social responsibility. Zora Robotics is now a world leader in humanoids – human robots, distributing them to nearly every continent in the world. 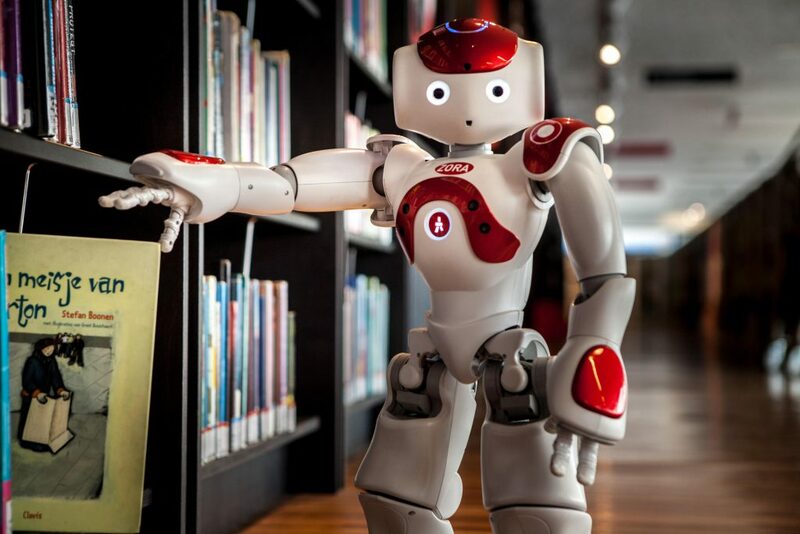 Follow Zorabot’s adventures on Twitter and Facebook and find out more about the forward thinking education we offer our students here.